Situated smack in the middle of two Skytrain stations and lacking bus service is Sushi Garden (on Lougheed Hwy). Despite not being in the most convenient of locations, this Korean-run restaurant has a relentless amount of business, generating a significant queue even on a Tuesday evening at 6 p.m. The restaurant isn't even that small either and could seat more or less around 50 people. Is it really true that being light on the wallet does the trick? Due to rather large portion sizes and the seemingly immense popularity of the restaurant, I did a "Sushi-a-thon" and made two visits on consecutive days, the first on Tuesday at around 5:45 p.m. and the second on Wednesday at around 3:15 p.m.
First up came the Sashimi & Sushi Combo, which arrived in only two minutes after placing my order. I didn't even peel off the paper wrapper for my chopsticks yet! Considering that the restaurant was packed, what kind of wizardry is this?! The Ebi Nigiri was very sweet (to the point that it tasted very artificial) and was rather tough. The Tuna Nigiri came with an extremely generous piece of tuna which was soft and surprisingly, it was neatly presented with no fragmentation issues. The Salmon Nigiri also came with a very large piece of salmon which was unfortunately a bit tough. The rice was also too bland to match well with the fish. The Hokkigai Nigiri (surf clam) was too chewy and needed more flavour. The Chopped Scallop Nigiri, on the other hand, was on the sweet side, while the seaweed wrapping for it was a little too firm. The Ikamite Roll consisted of a coleslaw on top (with cabbage and daikon) and fried squid on the inside. This is an excellent display of when a restaurant decides that putting as much stuff as possible on top of a roll makes it better. If you're looking for an inexpensive way to stuff yourself full, voilà! I'm at a total loss of words ... but I'm pretty sure they had fun stacking the ingredients for this roll. I liked how the squid inside was adequately chewy without being tough. The coleslaw was refreshing, creamy and sweet but the roll itself was also creamy and sweet, which culminated in an overload of sweetness and creaminess by the end. A large swath of my table became a sticky danger zone after I finished eating this roll. 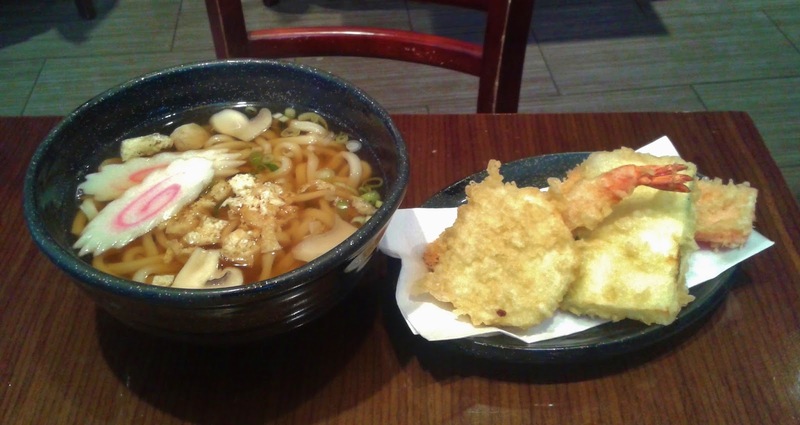 The Tempura Udon is a good deal at $5.95. 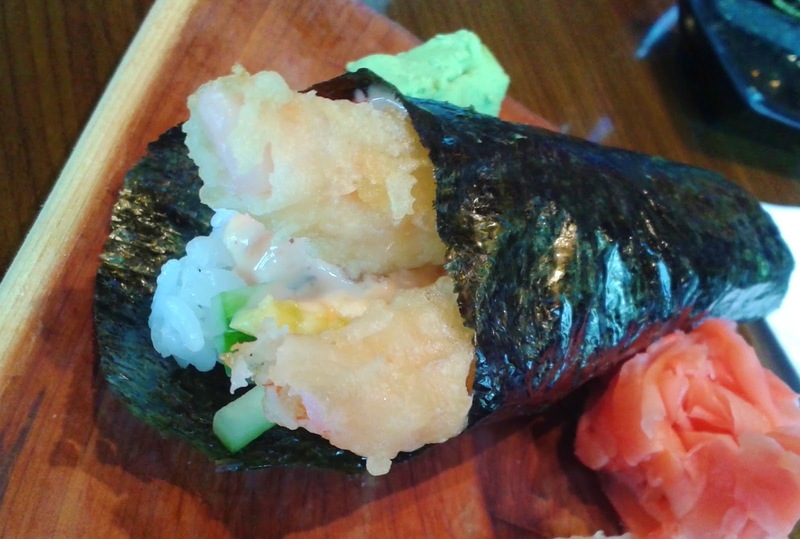 The prawn tempura was very well-executed and was meaty while not being heavily battered. The tempura zucchini successfully preserved the natural juiciness and sweet flavour of zucchini. The yam tempura was on the soft side while the carrot tempura was on the tough side. The udon noodles were smooth and moderately chewy, but were sticky with a slight floury aftertaste. (Dear stickiness, why must you appear again?!) The fried bean curd and naruto placed on top were rather hard to chew and disruptive in terms of texture. I wasn't impressed with the service, even considering that they had a few people waiting for tables. I was never asked about how my food was, and most of my dishes were handed to me hurriedly with at most an "excuse me" if my head was in the way. My bill was handed to me 10 minutes too early (way before I would have asked for it) and it felt like they were trying to shoo me out of the restaurant. Let's see if they do any better if I come at a time when they're only 20% full. During my second visit, this was the first dish to come after a reasonable ten-minute wait. I'm not sure why someone thought it would be a good idea to roll a few empty garbage bins through the dining area. Is there no door at the back to do this? 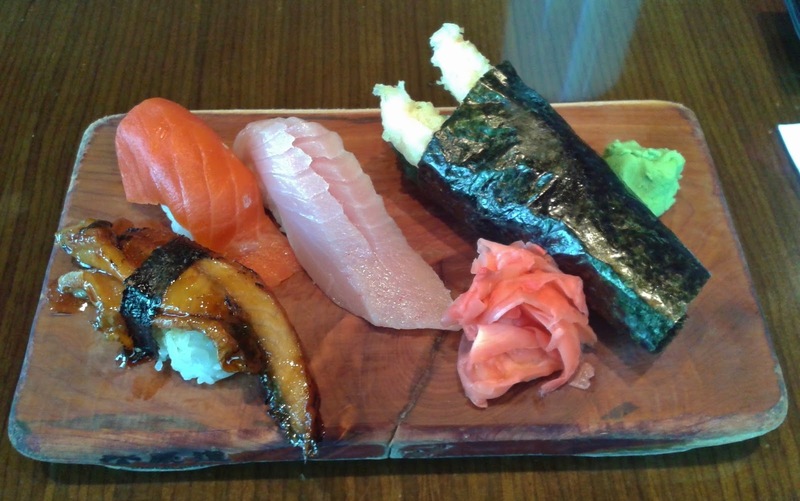 The Unagi Nigiri was sliced very thick and thus became overly chewy. It tasted more like the BBQ Tilapia Belly at T&T than unagi. 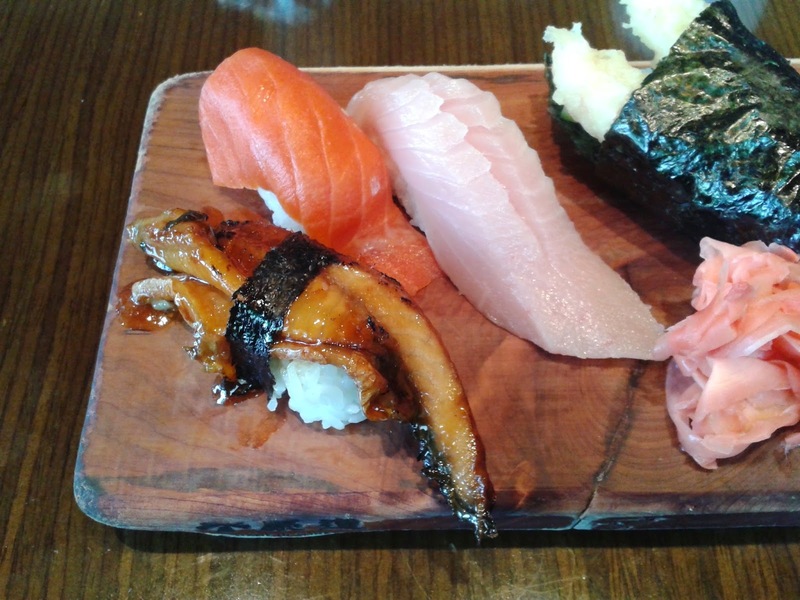 The Wild Salmon Nigiri was not as generous but it was softer than the unagi and tasted fresh. The Toro Nigiri was also generous with only a slight metallic taste. It was good to see that the stickiness from last day was gone. The Dynamite Cone came with some tough seaweed that had me clenching my teeth in order to eat the cone. The mayonnaise was mixed with a slightly sour sauce, which made it taste like a salad inside. The tempura prawns lost their crispiness by the time they made it to my table and became rather soggy. 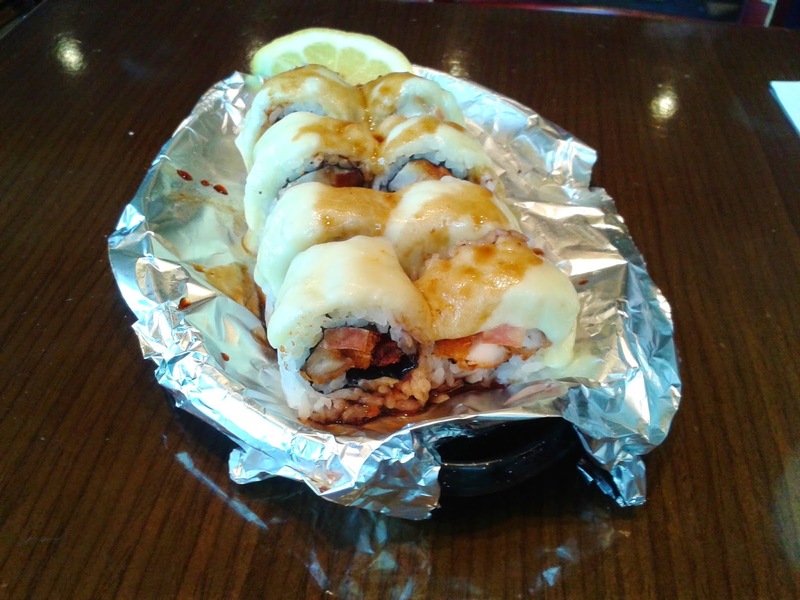 The Chi-Chee Roll consisted of baked chicken and melted mozzarella cheese. At Sushi Garden, it looks like the cheese curds in a poutine are considered "melted". The chicken was lightly fried and a bit dry. Overall, it needed more preparation time. And also, why is there tomato in it?! The Haru Maki consisted of vegetables (red pepper, lettuce and avocado), tobiko, crab meat and rice paper. The beautiful presentation was worth some extra points. I also liked the abundance of crab meat, which was in my opinion the tastiest part of the roll. 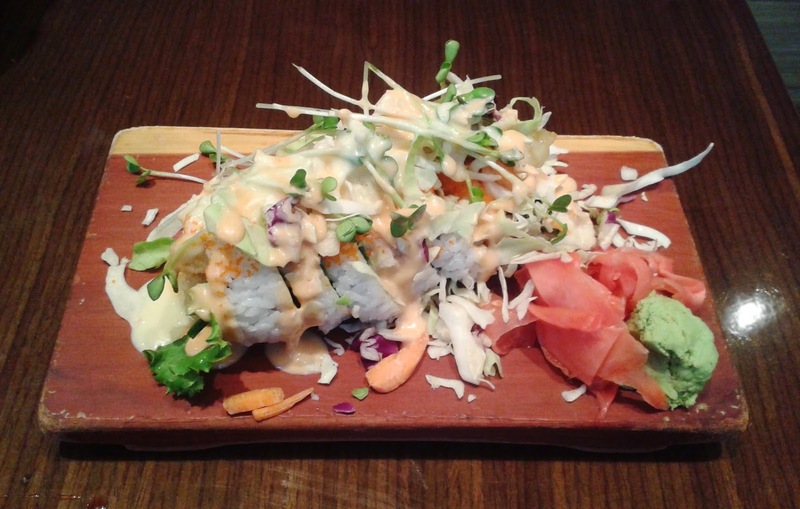 The Haru Maki is a juxtaposition of soft items (avocado and crab meat) and crunchy items (red pepper and lettuce). The rice paper is akin to the wrapping for a Chinese shrimp dumpling (but much thinner) or a Vietnamese sub. The layer of sauce below was made up of mayonnaise and a sweet sauce similar to Peking sauce. 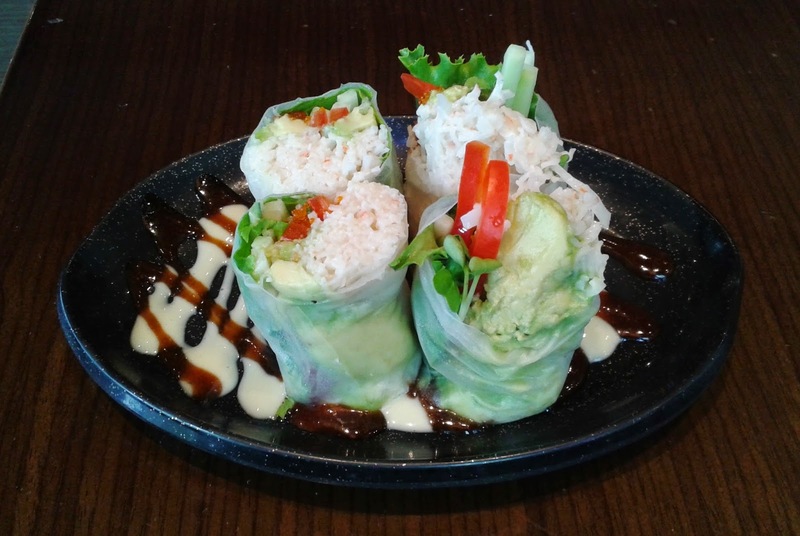 The roll itself was okay, but the sweet sauce didn't go well with the crab meat or any of the vegetables. This time, the servers at least didn't shove me my bill too early, but overall, the service is something you put up with and not something to be enjoyed. 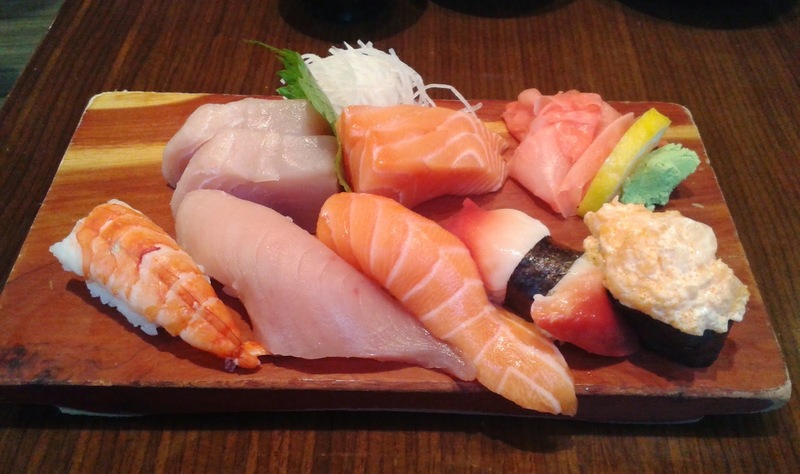 Besides the raw fish (most of which was decent), everything else was very close to all-you-can-eat quality. I couldn't understand why so many people would choose Sushi Garden as their go-to place even at times when it was jam-packed. Did I miss the good stuff? Hmm, I'd recommend visiting the Sushi Garden at Metrotown as well! I've never been to the Lougheed location so I can't speak for it. Unfortunately, Sushi Garden's special rolls aren't too special so definitely stay away from those if you decide to return to the restaurant. You should try their seafood salad though. Their apple-ginger-I-don't-know vinaigrette is too die for! Thanks for the tip! I guess I missed all the food they serve with their special vinaigrette. After a bit of reading, I found out that their Alaska Roll uses the same vinaigrette as well. I'll definitely give it a try when I visit Sushi Garden at Metrotown!